For the HP Envy 4520 printer, can I use 301 cartridges? Unfortunately not. 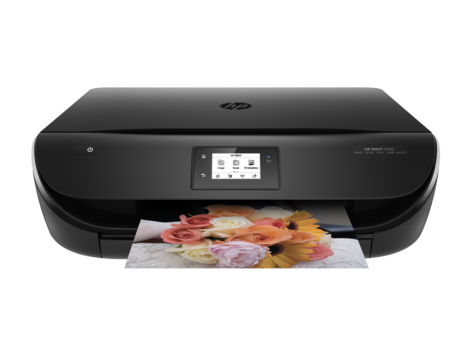 The HP Envy 4520 All-in-One printer can only use the HP 302 or HP 302XL ink cartridges listed above. HP 301 cartridges aren't compatible with the Envy 4520 printer. The HP Envy 4520 all-in-one inkjet printer is ideal for home use. It can deliver sharp text documents and vibrant photos, as well as clear copies and scans. The HP Envy 4520 multifunction printer is very easy to setup and operate. This model comes with standard networking connectivity. The Envy 4520 wireless colour photo printer would be better if it had quicker printing speed. The sleek HP Envy 4520 wireless multifunction printer comes with a flatbed scanner and a 5.5cm colour touch display on the control panel. This model comes with one paper tray that can handle 100 sheets. The HP 4520 all-in-one colour inkjet printer has a standard duplexer for automatic double-sided printing. For connectivity, a USB port is available. Users can easily connect using their mobile devices as the all-in-one HP Envy 4520 inkjet colour printer comes with standard Wi-Fi connectivity. This model offers high printing resolution of up to 4800 x 1200dpi for colour graohics. Borderless printing is possible, making the HP 4520 Envy printer ideal for producing photos. The Envy 4520 is capable of multi-copying up to 50 pages. The HP Envy 4520 all-in-one wireless inkjet printer doesn’t offer faxing, even as an option. This model would be better if it also offered a USB host to allow for direct printing from thumb drives. A PictBridge port and memory card reader are also good additions. Print speed is a bit slow at 20ppm for monochrome on draft mode.